Blurb: A new life in New Orleans is all Jason Thorpe had hoped: his quaint little store attracts a devoted staff and his warm, loving heart grants him a loyal circle of friends. He’s perfectly content, having left behind the chill of a confusing and danger-filled night in Washington, until he discovers something unbelievable lurking in the steamy darkness of the shadowy streets of the Vieux Carré, something that turns out to be terrifying… and utterly mesmerizing. Landry Carter was a broken doll when they met two years ago but has grown into a partner who can stand at Trevan’s side… most of the time. Now that Trevan’s life just got scary—and Landry just got himself kidnapped—Trevan has to hope Landry’s love stays strong through this newest challenge, because the happily ever after won’t happen if Trevan has to go it alone. Blurb: Jin Church is back where he started, alone, wandering, and uncertain of his path. It’s not by choice but by circumstance, as he remembers he’s a werepanther… but not much else. He knows one thing for sure—he needs to find the beautiful blond man who haunts his dreams. Blurb: Hagen Wylie has it all figured out. He’s going to live in his hometown, be everybody’s friend, explore new relationships, and rebuild his life after the horrors of war. No muss, no fuss is the plan. He’s well on his way—until he finds out his first love has come home too. Hagen says it’s no big deal, but a chance encounter with Mitch Thayer’s two cute sons puts him directly in the path of the only guy he’s never gotten out of his head. 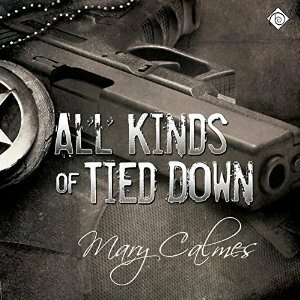 Blurb: Deputy US Marshal Miro Jones has a reputation for being calm and collected under fire. These traits serve him well with his hotshot partner, Ian Doyle, the kind of guy who can start a fight in an empty room. In the past three years of their life-and-death job, they’ve gone from strangers to professional coworkers to devoted teammates and best friends. Miro’s cultivated blind faith in the man who has his back…faith and something more. Blurb: When jackal shifter Quade Danas was banished from his pack for being gay, he spent years in the military escaping his father’s prejudice before returning to civilian life as a bodyguard for Roman Howell, the teenage son of a very rich man. After Roman is in an accident that leaves him physically scarred and emotionally distant, Quade is the only one who can get through to him. As Roman becomes a man, he realizes what he wants—his bodyguard by his side and in his bed. Unfortunately, Quade can’t seem to see past the kid Roman once was to the man he has become, certain Roman’s feelings are merely misplaced gratitude. 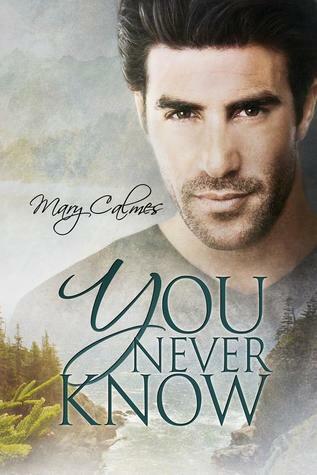 But Roman knows a lot more than Quade realizes, and he’s used to persevering, no matter how many impediments life throws his way. He wants the chance to prove to Quade that he’s strong enough for a jackal alpha to call mate. Blurb: Jon Slade finally met his mate, but instead of it being the happiest day of his life, it became the saddest when wolf shifter Kelvin MacCurdy chose his obligations over their fated bond, leaving Jon to pick up the pieces of his shattered dreams. Lucky for him, Roman Howell, his boss and the owner of L’Ange, saw promise in the forlorn lion and put him to work so he wouldn’t have time to sit around and lick his wounds while he waited for his wounded spirit to heal. But the conclave brings more than Kelvin to the château. It also brings a challenge to jackal alpha Quade Danas, a threat that Quade and Roman, Arman and Linus, and Jon and Kelvin may have to fight in order to keep L’Ange’s family intact. Jon never wanted to lead a pride, but the loyalty and devotion to one is ingrained in him. Kelvin was raised to punish anyone who questioned his king, but the calling to protect others runs through his veins just as deeply. To come out on the other side of the battle together, Jon and Kelvin will have to hold the darkness of solitary pride and broken hearts at bay—and find strength in belonging to something bigger than themselves.